The localization and decentralization of key infrastructure systems has emerged as a potential strategy for helping cities achieve multiple sustainability outcomes spanning environment, economy, health, wellbeing, and equity. Examples of this movement include cities declaring their intention to increase local renewable energy generation, decrease reliance on imported water, or increase local food production. Distributed infrastructure systems can include rooftop solar panels, bike and car sharing options, autonomous vehicle fleets, urban farms, rain gardens, and on-site wastewater treatment, just to name a few. 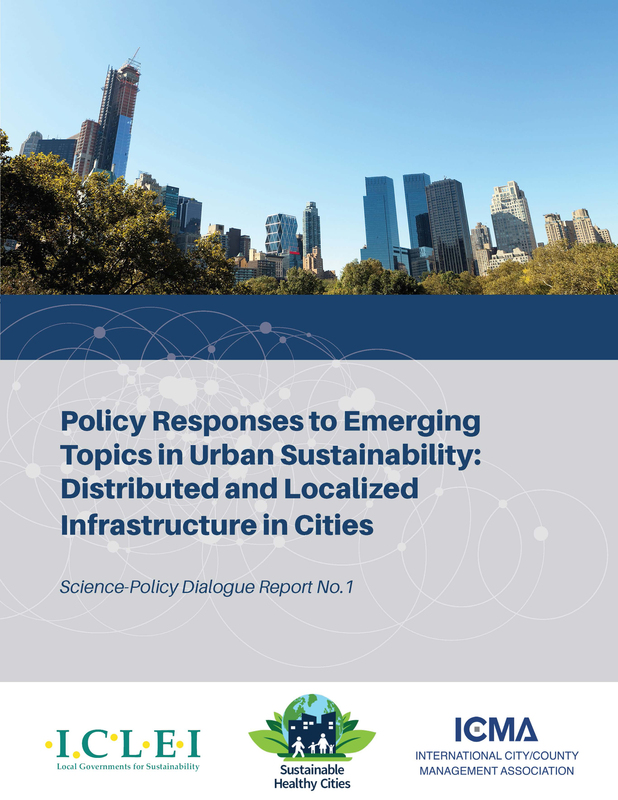 In August 2017, the Sustainable Healthy Cities network hosted a science-policy dialogue with city government representatives, policy partners, and industry counterparts to consider the science, policy, and practice of distributed and localized infrastructure in cities. Over the course of two days, the dialogue explored emerging science findings and key policy and practitioner responses to those findings. This document highlights those discussions, providing a primer on localized and distributed infrastructure transition implications for cities. Download the full report using the link at the bottom of the page. This science-policy dialogue report was developed in conjunction with ICLEI USA, the International City/County Management Association, and Town + Gown at the New York City Department of Design and Construction.